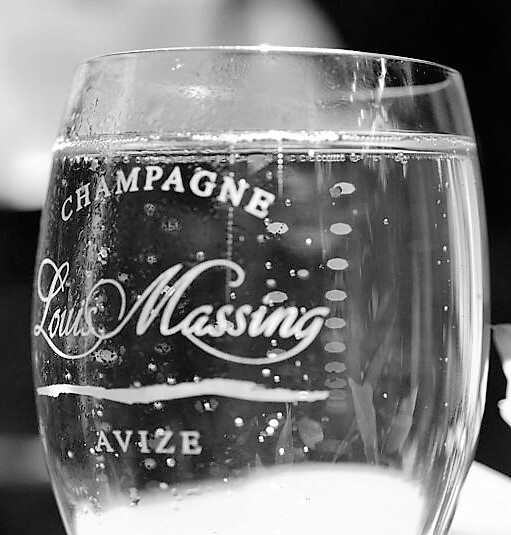 This Champagne house was founded in 1936 by Louis Massing. 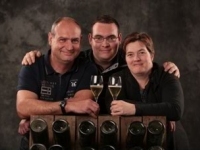 Since 1993 Estelle and Jean Bernard Moroy, third generation, have been running the business. 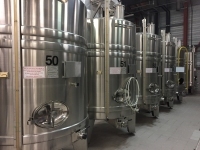 This family-run champagne house mainly produces Grand cru Blanc de Blancs. The champagne ages for at least 3 years, which adds finesse and fine bubbles to the wine. Champagne-lovers will inevitably be seduced by this house. 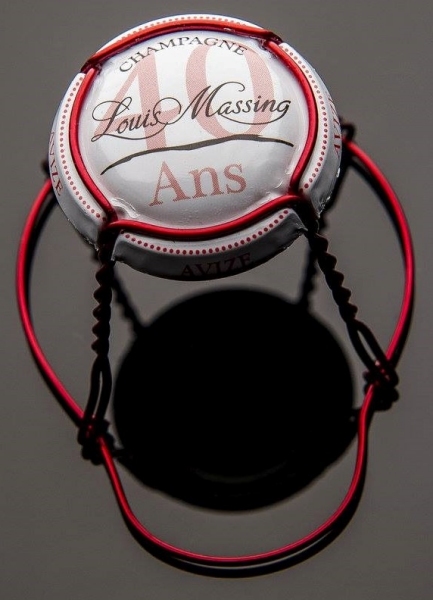 You can find the Louis Massing Champagne house in the heart of the Côte des Blancs. 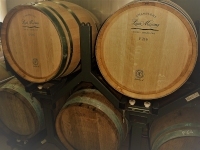 They offer a magnificent and diverse range of cuvees (5 Grand Crus Blanc de Blancs), one of which has been aged in oak. 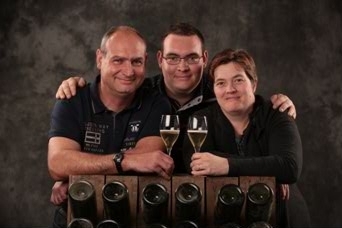 Since 1936 the house has been run by three generations of passionate champagne makers. 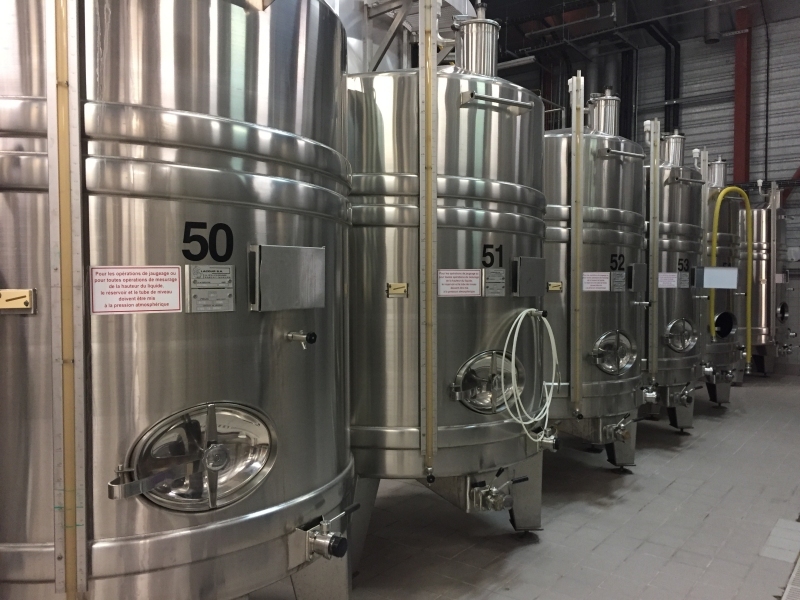 They have no secrets: visitors can see the press, the fermenting room, the cellar, learn all about disgorgement, dressing the bottle,… The tour ends with an interesting tasting. You can visit the house from Monday till Friday (all day long), on Saturday till 1 pm and on Sunday when scheduling an appointment. 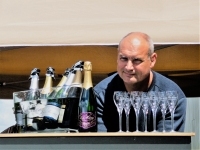 In summertime you can drink champagne on the terrace. This Brut is a lovely combination of Pinot Noir, responsible for the depth and the fruit notes, and Chardonnay, which adds finesse and freshness. A feeling of elegance on the palate. 30% Pinot Noir, 30% Minot Meunier, 30% Chardonnay and 10% old reserve wine. The cuvee gets its elegance from the successful blend of the 3 well-known varieties in the Champagne region. The result is a pure and fine champagne which is long and fruity in the beginning. A classic but extremely well made and well-balanced champagne that can be drunk on any occasion. A beautiful selection of Chardonnay from the Louis Massing vineyards. The cuvee has a lot of finesse, is well-balanced and light-footed. Ideal for an “out of the blue” aperitif. A typical Chardonnay representing the pure house-style. An elegant champagne with an acidic bite and mineral notes. In the Guide Hubert des Vins 2017 this cru gets a score of 16 out of 20. An elegant, non-compromising champagne with a lot of personality. This special cuvee has the typical flavour of an older wine (a result of 5 years lees-ageing), a golden robe and seductive butter notes. A unique champagne for special moments. The result of an exceptionally good harvest of Chardonnay grand cru from the Côte des Blancs. It expresses the perfect balance between the sugars and the acidity of the grapes. A definition of dried fruit and honey notes on the palate (9 years of lees-ageing). A food champagne which maturity will surprise you. The perfect match for a gastronomic meal or to savour with other connaisseurs. A magnificent champagne, the result of 9 months ageing in oak barrels. Subtle bubbles and vanilla notes on the palate. It starts strong with flavours of dried fruit. Selected by the Guide Veron des Champagnes 2017. A young, salmon-pink assembly rosé with fine bubbles. On the palate notes of red fruit and flowers. Ideal as an aperitif or to accompany a fruity dessert. This delicate, elegant but also gastronomic rosé has flavours of strawberry and raspberry. Its sugar content does not exceed 17grams/litre, which gives a velvet feeling without really tasting sugar. 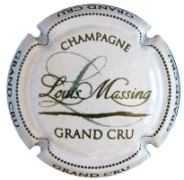 This extra-dry champagne is creamy, a feast for your taste-buds and harmonious made. Match this Cuvée Velours with foie gras and black sherry compote, a cake with red fruit, panna cotta with raspberry coulis. 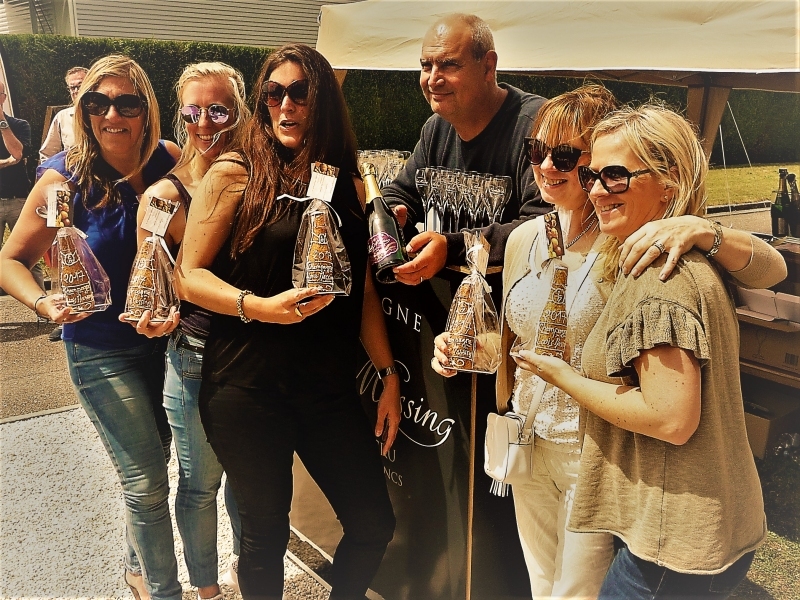 This cuvee was selected by the guide Veron des Champagnes 2018.
Who are the winegrowers ? 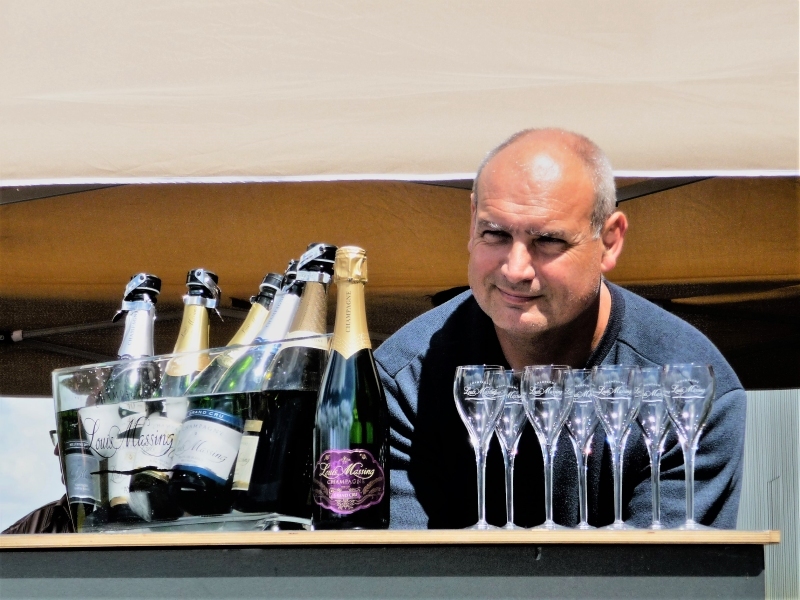 Top champagne growers..who live and experience their passion, from the grapevine to the bubbly glass of champagne.